We obtain personal data about you that you provide to us when you register on the Site or submit to us as part of your use of the Site. This personal information includes (but is not limited to) data such as your telephone number, name, address, e-mail address, company details, unique personal identifiers, financial information such as bank or building society account, and mortgage and loan details together with current employment details and information about your property. We also obtain information about you, if as part of the services provided by us on the Site we take up references from past employers. Information is only retained and used in a lawful, fair and relevant way. We may undertake references, and other lawful checks. By registering on the Site you consent to us doing so. You confirm that any third party information provided to us by you will be provided with the consent of any relevant third party including, without limitation, any referee. In order to ensure that the data we hold is accurate and current, we ask you to update your registration details as often as is necessary and recommend at least every 3 months. Our service to you is reliant on you supplying us with accurate and complete information about you and your requirements via your registration details and talking to our consultants. It is incumbent that you check your details for accuracy and inform us as soon as possible of any inaccuracies so that we may correct them. Your personal data (whether or not provided by you) will be stored in our database in our UK based data processing centre hosted by us and processed in any way by us or any associated company for the purpose of carrying out activities. Such activities are administration, service/product development, training and marketing, credit or financial assessment, market and product analysis, preparing statistics, protecting interests, insurance claims, audit, preventing fraud and money laundering, including making payments and recovering monies in relation to it. You accept that parties to whom we and/or any associated company may transfer information may be based outside the European Economic Area where there may be less demanding data protection laws than those in the United Kingdom. We will use your details to obtain credit reference agency searches, and underwriting and processing your finance application. We may on occasions obtain credit searches for more than one lender which will mean more than one search is made. It will be kept on our computer systems and hard copy files. The information you provide may be recorded with one or more credit reference or fraud prevention agencies which may keep a record of that information and the fact that a credit search was made. It may be used by lenders or other companies for assessing the risk of giving credit, for account management, to trace debtors and for the prevention of fraud and money laundering. If you give us or are involved in us being given inaccurate information and we suspect fraud, we may record this with credit reference and fraud prevention agencies. They may use it and share it with other organisations to help make decisions about you and other members of your household. any person where we are allowed or obliged to do so by law (including any disclosure duty imposed on us). If you are disclosing information about a joint applicant, you are confirming you are entitled to do so. An 'association' between joint applicants and between you and anyone you tell us is your financial partner will be created at the Credit Reference Agencies. This will link your financial records, each of which will be taken into account in all future applications by either or both of you until one of you successfully files a disassociation at the Credit Reference Agencies. By making a joint application, I am also confirming that I am entitled to: A) disclose information about the other applicant(s) and/or anyone else referred to by me B) authorise you to search, link and/or record information at credit reference agencies about me and/or anyone else referred to by me; An ‘association’ between joint applicants and between you and anyone you tell us is your financial partner will be created at the Credit Reference Agencies. This will link your financial records, each of which will be taken into account in all future applications by either or both of you until one of you successfully files a disassociation at the Credit Reference Agencies. such other information about you as we feel is necessary for us to comply with our legal obligations. When we remove your personal data all copies of your details will then be removed from our database, except for an archival copy retained indefinitely for audit and records purposes which is not accessible by you or third parties on the Internet. If you do not wish us or any of our associated companies to contact you about services or products (of their own or third parties) for market research purposes or considered of possible interest to you, please tell Our Data Protection Compliance Officer (details below). We will not pass information about you to other third parties for direct marketing purposes. We may monitor and/or record your phone calls to us for training and/or security purposes. Such recordings are our sole property. 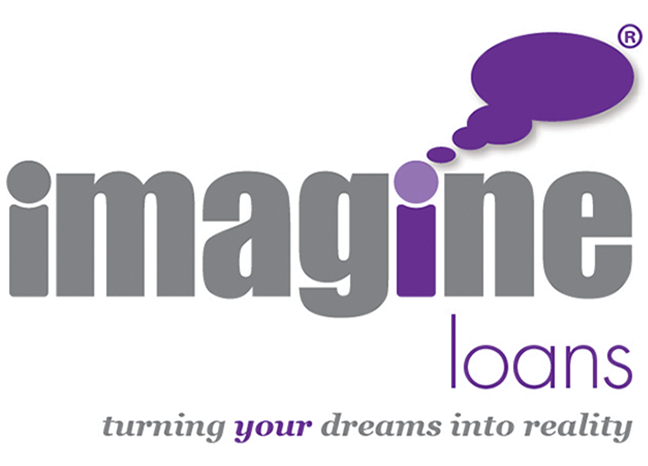 Imagine Loans does not accept responsibility for the security of emails outside our area of control, including e-mails we may send to you; once an email has left our area of control we cannot guarantee its security. If you request an email containing your personal information, we may request you provide us with additional information to verify your identify and to give your authority to send that information to you.